Exquisite sparkling vintage style bracelet oozing delicate retro charm. 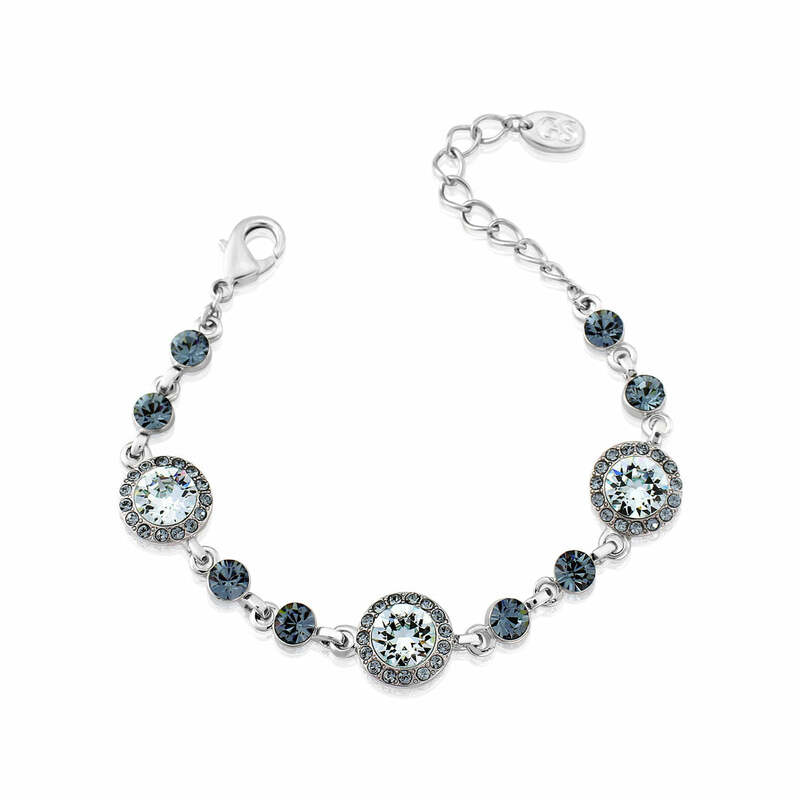 Fall into the dreamy depths of our Waterfall of Love Bracelet. Three exquisite light aqua Austrian crystals are encircled by a halo of delicate light teal crystals and set on chic silver tone. Accessorise your quirky vintage style with this enchanting collection with its bewitching soft shades of aqua or add a retro touch to your light blue or teal wedding theme. From pretty bridesmaids to romantic brides, Waterfall of Love is the most mesmerising blue wedding bracelet to accessorise a vintage style gown, making a fabulously magical addition to your fairy tale day. Pretty and feminine, coordinate with a floral 50's calf length tea dress for timeless elegance that captures the essence of this fun loving and exceptionally glamorous decade.